B.o.B brought his magic to a packed Seacrest Studios at Children’s Medical Center of Dallas. Special patient co-hosts, Julius, Morris & Adrian, were on hand to help reveal the man behind the music. The conversation went from culinary preferences to car choices. B.o.B considers his mom’s enchiladas and his Jeep to be his current favorites. On top of being a skilled rapper, B.o.B was once a first-chair trumpet player and also knows how to play the piano. The kids discovered that he enjoys a good game of Tetris and that his favorite shoes are Timberlands…which he propped up on the desk for all to see! B.o.B encouraged the patients to stay inspired and keep asking important questions. 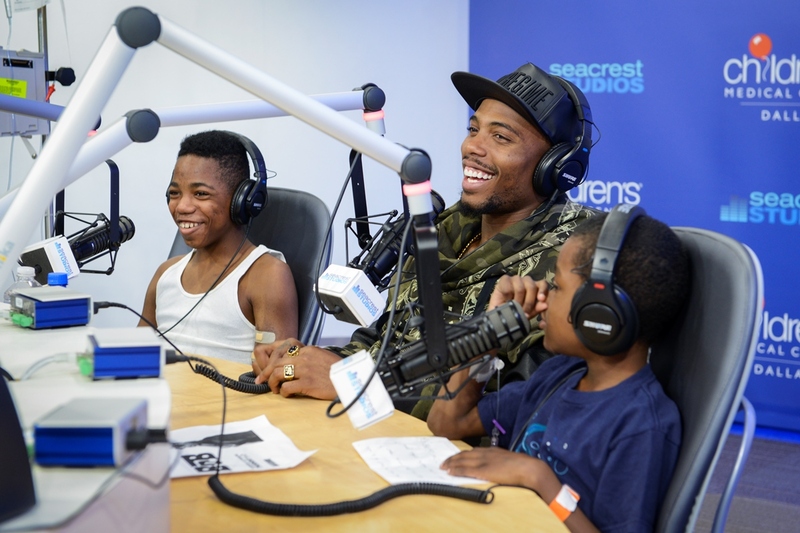 A big thanks to B.o.B for taking the time to visit the kids at Children’s Medical Center’s Seacrest Studios.